Karl Tatler Estate Agents & Lettings are delighted to again be involved with the Radio City Cash for Kids annual Christmas present appeal. Each of our five branches across Wirral are registered as official drop off points for Mission Christmas. The charity is appealing for new, unwrapped gifts suitable for babies, children and young people aged 0-18 years. Collectively throughout the U.K, last Christmas, over £23 million worth of gifts were distributed to over 709,000 children. Without the Mission Christmas appeal, Cash for Kids would not have delivered these gifts to underprivileged children throughout Liverpool, Wirral, the North West and North Wales in time for Christmas Day. 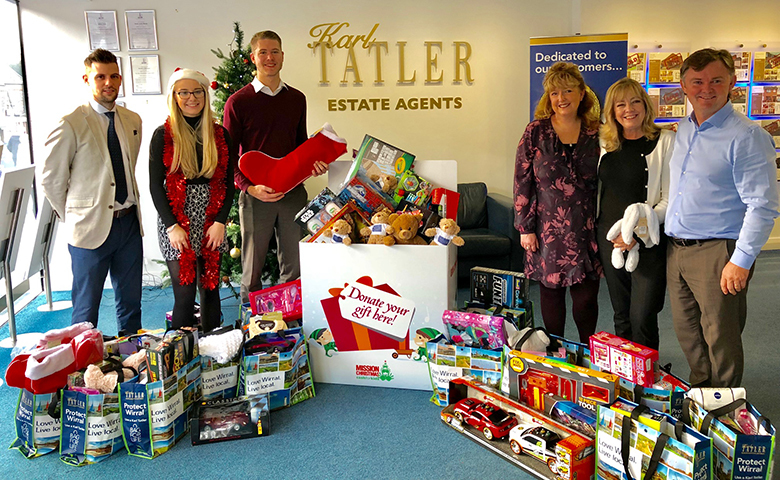 Karl Tatler’s branches in Heswall, Greasby, Moreton, Prenton and West Kirby are collecting new and unwrapped gifts up until Thursday 13th December. Find out more about the Radio City Mission Christmas appeal here.